Tata Motors is few days/weeks away from launching the much awaited compact SUV – Tata Nexon in India. Tata Nexon compact SUV is expected to be launched in the middle of this month (September). It has been a while since the Indian automaker announced the Nexon and the company has already previewed the car on various other occasions like Kochi Media Drive. 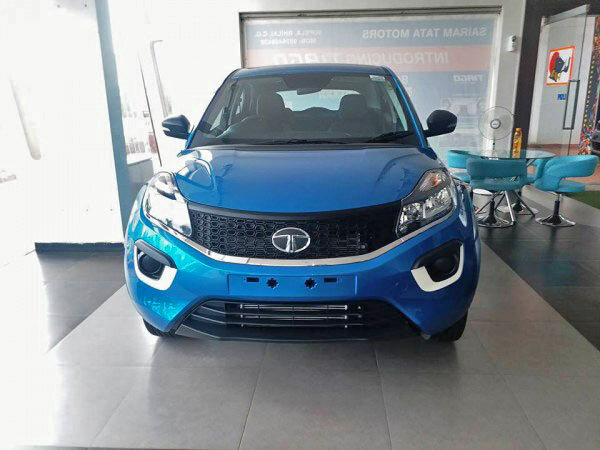 Even before the official launch of Nexon compact SUV car, a user by name Amit Pandey has posted the photo of all new Nexon which was spotted in a dealership on Facebook. 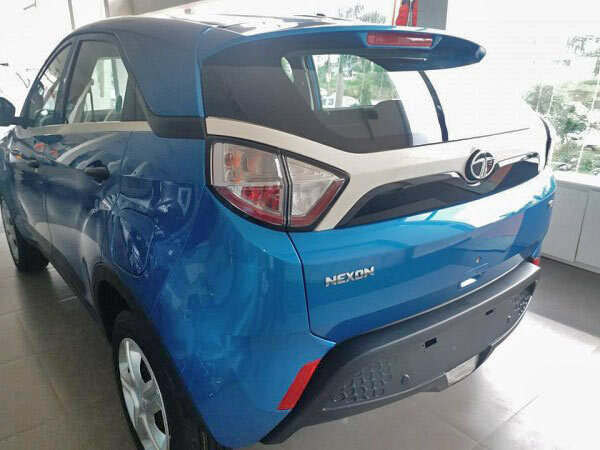 The Nexon unit spotted in the dealership is of “Striking Blue” color. bThis particular model of Nexon looks like an XE variant as it doesn’t come with the projector headlamps nor the LED DRLs. The all new upcoming Tata NEXON compact SUV takes on cars under sub-10 Lakh segment like Ford EcoSport, Maruti Vitara Brezza, Mahindra TUV300 etc. The all new Nexon from Tata Motors will be getting 2 engine options: 1.2-litre turbocharged petrol from Revotron series and 1.5-litre diesel engine from the Revotorq series. Both these engines of Tata Nexon gets mated to a 6-speed manual transmission gearbox. The 1198cc 3-cylinder petrol engine is capable of churning out 108.5bhp of power at 5,000rpm and 170Nm of torque at 2,000-4,000rpm. The 1,496cc four-cylinder diesel engine churns out 108.5bhp at 3,750rpm and 260Nm or torque at 1,500-2,750rpm. You can add more to this story by participating in the roads forum.